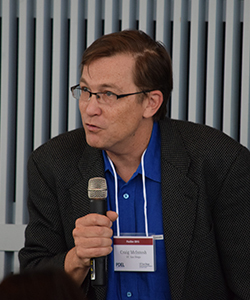 With a background in conducting field evaluations of innovative anti-poverty policies in Mexico, Guatemala, Malawi, Rwanda, Uganda and Tanzania, Craig McIntosh is a true global leader. McIntosh, a development economist whose work focuses on program evaluation, is a professor at UC San Diego’s School of Global Policy and Strategy (GPS) and co-director of the Policy Design and Evaluation Lab (PDEL) based at the School. As the co-director of PDEL, McIntosh is an expert on issues related to credit, insurance and savings markets in developing countries, as well as on how to evaluate policy impacts; from how to design and conduct randomized field trials to the design of surveys and other forms of data collection. With expertise in program evaluation, McIntosh looks at grassroots level impact, studying what happens as new technologies are adopted across the developing world. Working very closely with institutions on the ground, his most recent project looks at mobile money implementation in Rwanda. In a region where few people have real banks, this technology assists in the burning need for financial services and provides a new conduit through which to provide benefits. Given the rise of mobile money as a new way of getting benefits into the hands of citizens in the poorest countries, the question arises if we need to rethink the channels through which international aid flows. When asked where the intersection of STEM and policy is headed, McIntosh stresses the importance of opportunity. 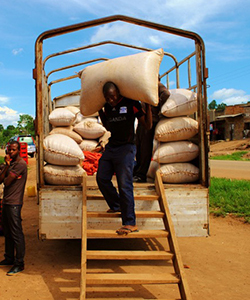 While technology cannot solve all public policy problems, it is about recognizing limitations set by infrastructures and finding exciting new interventions, such as his work building high-tech trading platforms for smallholder farmers in Uganda. As the chair of the GPS Curriculum Committee, McIntosh helps mold the leaders of tomorrow. Focusing on quantitative methods training, he stresses the importance of transparency, especially with regards to data structure and analytical structure. With regards to his economic development courses, McIntosh teaches students how to think critically about how markets are going to work, who is going to try and be active and corrupt the program and how the program is working against interests of entrenched people on ground. Graduates of the GPS two-year programs have unique advantages to build up technical training, due in part to the strong quantitative curriculum. Each quarter students are exposed to a variety of technical skills, taking them through analytics, econometrics, GIS and remote sensing, accounting and finance and cost benefit analysis. With a strong private sector in California, the curriculum highlights the clear relationship between private sector and international relations, with over half of graduates placing into this sector.